1. The Consumer Financial Protection Bureau will have to be abolished or made comatose by the Trump administration simply defunding it. This will allow toxic loans to be made. It will no longer be necessary for financial institutions to actually prove that borrowers will be able to pay back their loans. Liar loans, Arms, and Pay Option Arms, piggy back down payments, lower credit scores and HELOCs will all be made easy for those seeking a loan once the CFPB is taken down. 2. There will likely have to be a scam against the government of the United States and taxpayers. This scam will allow the GSEs, or the banks who want to be GSEs and then offer government guarantees, to guarantee toxic, risky loans as if they were sound loans. This, of course, would put the government of the United States into ever deepening debt once the loans are found out to be less than solid. There could be an exception to this, if the Fed would buy the weakened MBSs that would come out of these bad loans. If the Fed kept a floor under the market, maybe investors would buy these loans. If the Fed would limit declining prices with monetary policy or perhaps through buying bad paper, no matter what, investors may buy the MBSs. But it is also possible that the Fed would act against very bad bonds created by bad loans in a harsh manner once again, as they did in 2007-2008, when the Fed let subprime and the commercial paper market backing subprime and eventually HELOCs to wither and almost die. 3. The logic of a bubble actually working could be based upon the concept that there are no bubbles, only weak Fed monetary policy. I happen to believe that there were bubbles and there was weak policy, so I partly agree with the Market Monetarists, but not completely. The bubble may not crash significantly if the Fed continued to back it, as many would not walk away knowing that eventually the wealthy would come to the rescue even if prices declined some. What happened last time is that the bubble was proven a bubble because the Fed let it crash completely, and then its banks gave easy money to the wealthy, and to firms like Blackstone to come in and mop up. Of course, there is a possibility that the Fed would get cold feet or that it is more profitable to scam the government guarantees, and then get houses back for the banks. There should always be that doubt that the Fed would do what the Bank of England did not do, just let the market fall to pieces. The central banks are, after all, independent of the government and are beholden to banks, not taxpayers. That does not mean that all of them acted with the ruthlessness that the Fed acted with. But if people decide not to buy, that which was not a bubble can become a bubble and the Fed can't make people borrow. That should always be in the minds of potential investors. As examples, the Chinese could stop buying on the west coast like the Japanese did in the last century. And many government jobs could go away if Trump has his way and that could impact the eastern seaboard. 4. Securitization could resume in a big way, as the banks may not want keep these loans even if they are guaranteed by the government. People will call for prosecution of the bankers if the bonds anchored by bad loans started to fail and gravitate to bank balance sheets. And if banks could keep the loans it would not be as easy for them to fund shadow banks if the bubble gets more pronounced. Securitization would likely resume heavily at some point and investors would buy MBSs guaranteed by the government regardless of how reckless the underlying loans would appear to be. The main line banks would benefit from this securitization by getting cash into the hands of the shadow bankers through the commercial paper market. This would be off balance sheet banking and no loans would be created by the mainstream bankers themselves. So no one would notice changes to the banks' on balance sheets, but regulation would have to be significantly eased. 5. The last bubble required bogus private rating agencies AAA ratings on the MBSs. The next bubble will have the bonds all rated AAA because of the government guarantee. The blame for this scheme will fall at the feet of congress and Donald Trump, even though they are tools of the globalists who may or may not be able to fool as many borrowers this time, but will be able to fool the taxpayers. 6. The bubble could be continued by two things. First is a bolstering by the Trump tax plan, and the big deduction he plans for to simplify the tax code. Interest deductions won't matter in most cases except for very high end houses. 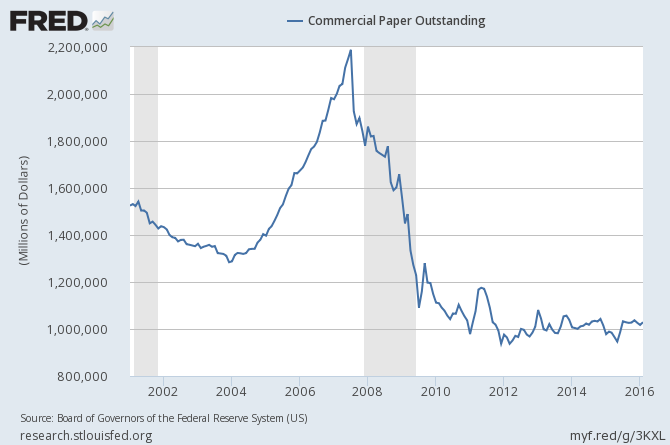 Second, this will work if the Fed is more countercyclical and continues to buy the stinky paper created by the easy money after people know it is getting stinky due to massive defaults. I am not saying it is wrong for the Fed to buy the paper. Look at how the stock market and payday lending defy gravity. But buying paper to save regular folk is not usually what the Fed does after what it considers the end of a mispriced bubble. For buyers, it would probably be wise to buy early into the bubble to beat the larger speculative crowd, and sell fairly quickly after profiting. Trusting the Fed to keep prices up is like trusting Putin, or trusting our intelligence agencies not to leak stuff, or trusting fake news, which everybody seems to be doing these days. Keep in mind that if the mortgage backed securities are based on government guaranteed bonds, the Fed won't have to misprice the bubble to get investors to buy the bonds. It could do so again but it may not be necessary as it was in the last bubble. Dodd-Frank creates a new mortgage gold standard, the “Qualified Mortgage” (QM). The QM standard creates guidelines for lenders to follow in order to make gold-quality loans. The lender must verify a potential homebuyer’s employment and income in order to ensure they can actually afford their mortgage. And to be specifically considered a QM, the borrower may not have a debt-to-income ratio greater than 43%. In addition, risky interest-only loans, negative amortization loans, and loans with balloon payments are not considered QM. To create a strong incentive for lenders to offer such high-quality loans, a lender that makes a QM loan is protected from a future lawsuit filed by a borrower who claims that they were sold a loan they couldn’t afford. Similarly, borrowers who receive QM loans are assured they haven’t been sold an overly risky, unaffordable mortgage. The Republicans and maybe Trump want people to borrow that which they cannot afford! They don't want guidelines, they don't want QM, and they don't want the government protecting borrowers. They want buyer beware, or more likely buyer be unaware! Of course, the repeal of Dodd-Frank would mean that more washers, dryers, air conditioners, and other appliances and house furniture and accessories would be sold. But the removal of a just law is difficult to justify. Just know that if the QM law is removed a predatory and ugly housing bubble is on its way to a bank near you. Buy early and buy what you can afford. Don't be trapped into buying a million dollar house if you are delivering pizza. If you want to rent instead, protect yourself by renting affordably or by renting with friends or relatives. Hunker down if you see the bubble on the way, renters! And everyone, realize that the Fed won't tell you how it will respond to future housing bubbles.